The Riderless Horse – An Australian Impression of World War 1 in Song (60 min) concert)This material has the ring of truth for nobody knows better than those who were there …From the rousing songs of nationalistic fervour, to the soldiers’ brave faced morale boosters composed on the spot in the trenches and sung by many voices, to the ballads of those left behind to watch and wait – It’s the songs written by people of the time, those directly affected by being at war, that really tell the story and provide a rare insight into Australia at the time of the war to end all wars. Although these songs were never meant to tell the story of one soldier’s experience, this presentation has been arranged chronologically and gives a strong impression of continuity. The show also contains a potted folk history of Australia’s involvement in WW1. Thanks to a grant from the ANZAC Centenary Local Grants Program. Our Fabulous Performers are Chloe & Jason Roweth: Original, traditional and contemporary Australian bush and traditional styled music in dynamic and fresh arrangements featuring two vocals, guitar and mandolin. 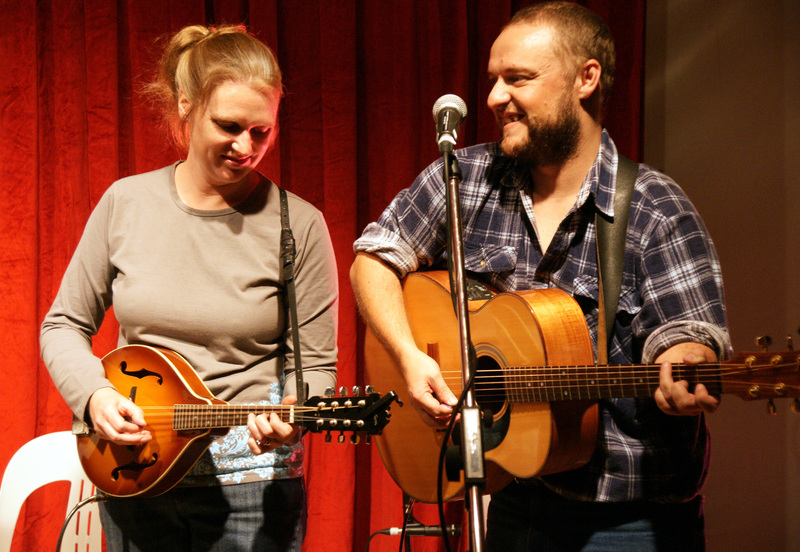 Chloe and Jason gain great pleasure from bringing almost forgotten songs back to the stage along with creating new material which is grounded strongly in the tradition of bush culture and music. Their latest CD “A Voice that was Still” was awarded the National Film and Sound Archive’s “Best Folk Recording 2009” at the National Folk Festival. Park: Behind the Printing Museum just next door or the Visitors Centre across the road or parking areas off Lowe St.